Spring Soiree with Perfectly Posh! Ladies! Join us for a spa day in the clubhouse… Have a Mimosa with us and sample the new Spring line of Perfectly Posh Pampering Products. 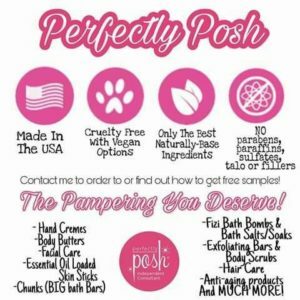 Perfectly Posh creates quality made, affordable pampering products. Whether you are planning a whole day of relaxation or just need a few minutes each day with a rejuvenating face mask or your favorite deliciously scented hand creme, Posh has everything you need to make yourself feel absolutely incredible! Most products are under $25 dollars.